Spoiler alert: yes, you can optimize for “zero results” but you have to abandon your legacy “search engine optimization” mindset to achieve that. when using a holistic popularization approach. Then Google will have to find you! Let’s take a step back! “What are you talking about” you probably think. “I get all kinds of results on Google.” Good point! Let’s take a look at the bigger picture and let me provide a bit of context. Google has steadily encroached upon so called organic search results. Over the years the number of ads shown on Google search “above the fold” – that is what you see without scrolling – has grown. At one point they have reduced the overall number of ads but the room left for actual search results hasn’t increased despite of it. Meanwhile the way Google displays the ads became less and less visible to the naked eye. It’s really hard to spot the inconspicuous “ad” declaration. And do you know what? It works! For Google that is. Most people – especially teens – can’t distinguish between paid inclusion and algorithmic search results! Add to it the manifold Google services that get preferential treatment – think shopping search or Google’s “My Business” local directory and content scraped from third party sites. The outcome is clear: there are barely any real search results on the Google ad engine. Google “search” results rather resemble the Yahoo portal from the late nineties. In many cases Google ceases to work as a search engine and becomes rather a kind of answering machine responding to queries. In early 2018 Google dropped the bomb then: they “tested” zero results answers instead of search results. Yes, you hear it right! Google hid the search results for some search queries from view and served just answers taken from third party sites instead! weren’t amused. A public outcry followed suit and forced the Google team to scrap that particular test. 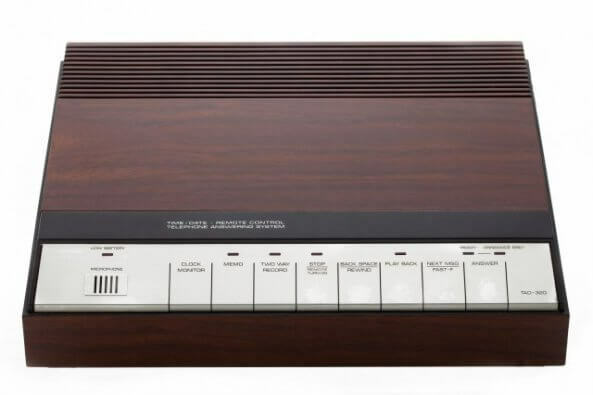 The first attempt to cut out the middlemen – that is us – and becoming just an answering machine failed. We know it was just a sneak preview of things to come though. 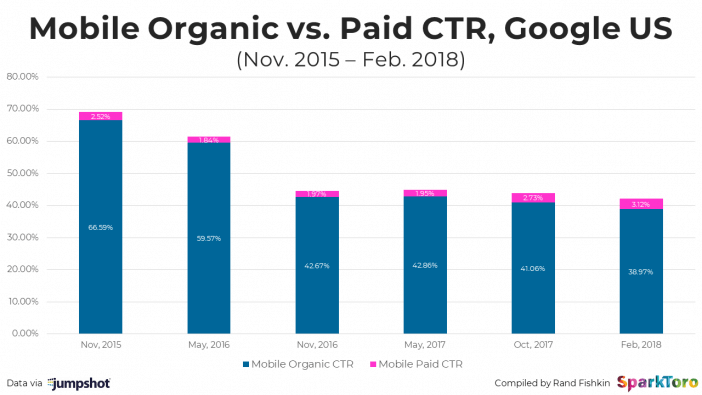 The number of people clicking through on mobile Google results is shrinking fast – by now it’s way below 50%. Google wants to keep users on site – on Google itself. The idea of serving links to third parties seems to be an antiquated one Google wants to get away from. We just need to watch the statistics of how people use search on mobile phones – which amount to more than a half of search usage in general by now. Almost 60% of searches on mobile devices do not lead to a click. What does this mean? People search for something but Google answers their “question” on Google itself instead of linking to third party sites on top. There is no need to click through anymore. People stay on Google and engage with the Google sites or related products. Of course people also click more ads because they dominate. The typical reaction each time when Google gets a bigger share of the overall traffic is predictable. The doomsayers of “SEO s dead” aren’t far. 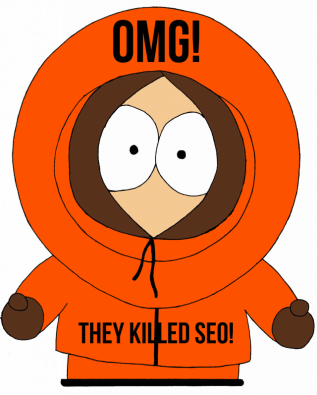 SEO is like Kenny from South Park. This time you might become pessimistic indeed. Some people try to please Google as much as they can by adopting their proprietary technologies. Think separate AMP sites e.g. Some even go as far as to optimize for the answer so that Google can grab their content with ease. They add special markup to tell Google how to grab their content. This is just shoveling your own grave in a way. You actively hand over your content and control to Google. We need a new approach then. One thing is obvious. People will still look for third party services and products on Google. The internet giant can’t possibly do it all even though they might try it. For example you can bet that people will still look for the other corporate websites like Amazon or Facebook. Google can’t redirect or grab those searches without getting in trouble. Likewise there is sill plenty of room for all kinds of small businesses. Even though Google is the Walmart of the Web they can’t kill off all of us. They need us to provide the content and answers for their scraping engine and answering machine. Google is still just a gatekeeper even though they fortify their walled garden increasingly. When people demand to go elsewhere they have to open the gates. Our task at present and in future will be to optimize for that demand. Rand Fishkin of SparkToro (formerly of Moz) has called that demand generation. It’s true. Demand generation is probably the best way to replace traffic generation. Even in case Google keeps your audience or customers on their site they need to serve or sell your products or services then. Just consider a search like [nba]. 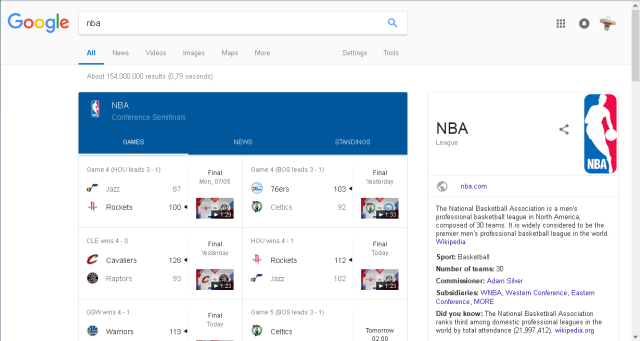 Google owns all the room above the fold and it’s kind of hard to even spot the actual link to the actual NBA homepage. Yet they have to show NBA related information and footage. When you’re really interested in the games you won’t be satisfied with simply reading who won on Google or seeing the highlights on YouTube. At the end of the day Google has to bow down to the demand. Sure – they get the traffic for those who just want to look quickly what happened but the NBA can also sell subscriptions to true fans who want to watch the actual games. The NBA is strong enough as a brand that people will search for it. 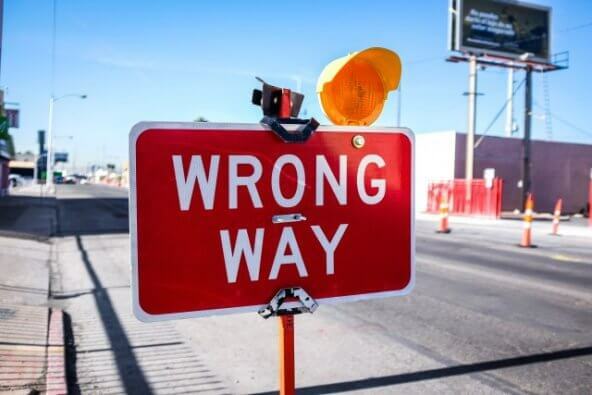 Google’s attempts to trap visitors on their site and services can’t really hurt them. Now you might argue that you are not as popular as the NBA yet. True! What can you do? Well – let’s return to Rand Fishkin and use his latest book as an example. You are not LeBron James? Read on! Even though Rand Fishkin left the company he found many years ago under to say the least dubious circumstances he still manages to build demand for his book. He has also a personal brand. He does not rely on his legacy at his former company. He’s actively conversing on all channels with other people – who are far less influential than him. How do I know? I’ve written Rand Fishkin a message by mail to cheer him up a bit after he sent a mail to everybody he knew that he lost his job to some extent. Then I had to realize that hundreds of others responded as well. Yet despite “500 messages” in his inbox he managed to respond on a personal level. You might think I’m just another high profile influencer who knows Rand from conferences or something but far from it. It was the first mail message exchange by we ever had. I’m in no way special. 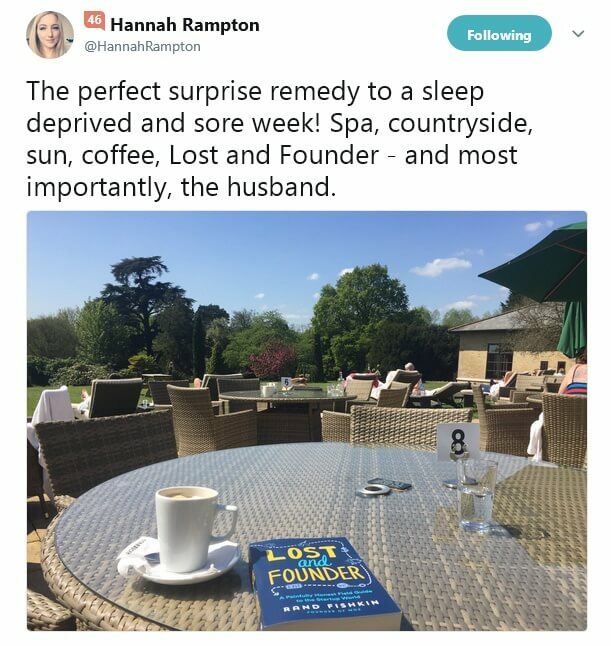 Yet he manages to intrigue me and my colleagues about his “Lost and Founder” book. Did you notice that funny pun? This also helps! Heck, I’m not even into startups. I prefer to work with established businesses – be it small or big. The crazy startup life is not for me. I’m too old for working 80h weeks and party at night with me colleagues after that. I rather get up early and walk my dog and train parkour. The ongoing exposure of the book cover and mentions of the contents by people who populate my feed or are online friends by now makes me curious though. One of these days I will probably search Google or Amazon directly for that book and maybe even order it – at least to find out whether I also get mentioned like other optimizers. Long story short Rand Fishkin’s book is the talk of the global village all the time now. People are sharing photos of themselves holding it! The demand generation machine is working all the time even when Rand himself is offline and asleep. Google and Amazon have to listen to the demand and provide the appropriate results. In the past we optimized generic websites for Google so that they sent us traffic from relevant search queries. Now we optimize online brands and make products the talk of the Web so that Google has to find them. It’s a complete reversal of the approach.